All the most common interview questions are right here. Before any interview, it's worthwhile preparing a list of questions you are likely to be asked. This way you can think of how you want to answer and what examples you could use to your advantage! Just don’t memorise your answers... keep it real. Commonly used by companies and hiring managers alike so you should be prepared to demonstrate your expertise by providing examples of your work and demonstrate how you achieved the outcomes listed on your resume. 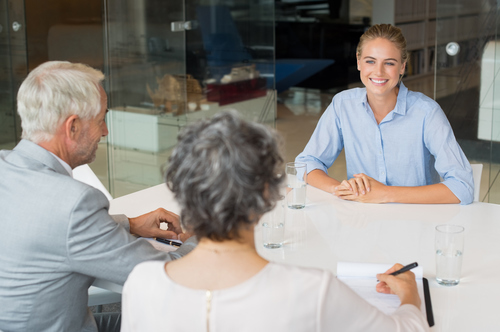 These can vary depending on the position or the company but there are a lot of frequently asked questions you are likely to come across. For example, what are your strengths and weaknesses? Or how much do you know about our company, products, and services? There are 'what' and 'how' questions that are straightforward and to the point. Then there are 'why' and 'tell me' questions which prompt more of a story from you. 'Have you ever' questions are designed to see how you have dealt with situations in the past and if you have learned from them. What challenges and opportunities do you think the company faces? What were your objectives for last year at your previous employer? Did you achieve them? What new skills are you looking to develop this year? What did you like best and least in your last position? What about this job do you find exciting? What value will you bring to the position? What motivates you to deliver your greatest effort? What special qualifications and experiences do you have? What was the hardest decision you have ever had to make? What are three things most important to you in a job? Where do you see yourself in five years/ What are your long term career goals? How do you see this position assisting you in achieving your career goals? How well do you work within a team? Do you prefer more autonomy? Are you a fast learner? How long will it take you to begin adding value? Why would you be a good fit for us? Why do you think you would like working for us? Tell me about an important decision you had to make… how did you go about deciding? Tell me about a time when you took a risk at your previous employer… How did you handle it? Tell me about a time when you worked as part of a team? How did you handle it? Tell me a time when you planned and arranged a large project or event? What steps did you take? Tell me about a time when you demonstrated leadership and initiative? Tell me about a time or describe a situation when you made a mistake at work? How did you go about rectifying it? What did you learn from the mistake? Have you ever been in a situation where you disagreed with your manager? How did you resolve the disagreement? Have you ever had to work with a person you didn’t get along with? How did you handle the problem? Have you ever had to learn a skill and then apply it immediately? Have you ever worked in a situation when there was no processes or procedures in place? Have you ever been in a difficult situation when you needed to remain positive? How did you handle it?